32 young Fijian crested iguanas - a Critically Endangered species found only in Fiji - were reintroduced on Monuriki Island! With support from the Critical Ecosystem Partnership Fund (CEPF) through our investment in the Polynesia-Micronesia biodiversity hotspot, the Fiji Nature Conservation Trust restored the native vegetation of Monuriki Island and the National Trust of Fiji implemented the IUCN Crested Iguana Species Recovery Plan for Fijian crested iguanas. "We have been blessed with this restoration project for Monuriki Island as the island is a major source of income not only for my Mataqali, but for the whole village," states Mr. Maika, spokesman for Mataqali Vunaivi. "This project has also made us realize how important it is to protect the island, for our children's livelihood in the future and also for this very special iguana, the sea birds, and other plants and animals that live in it. 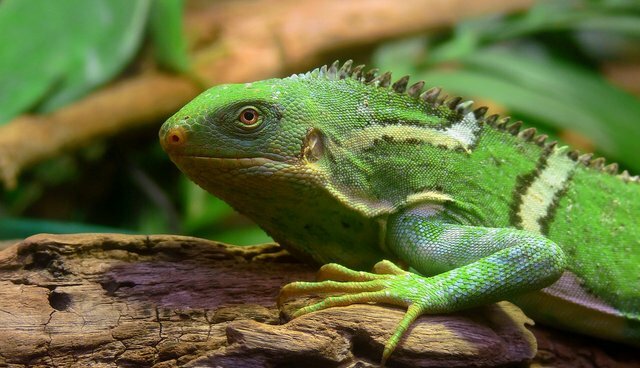 We thank Kula for breeding more iguanas for our island." Learn more about the habitat restoration and the captive breeding program.